5.31.2017 The California Department of Education (CDE) recently announced plans to award over $1.2 million in funding to 152 school sites to start new or expand existing Breakfast After the Bell programs. 119 of Breakfast After the Bell (BATB) sites applications had 60 percent or more students eligible for free or reduced-price meals. On June 27, 2016, Governor Brown signed Senate Bill 828 into law, which provided an additional $2 million in grant funds for two years for sites that want to start-up or expand Breakfast After the Bell (BATB) programs. The funds, available in School Years (SY) 2017–18 and 2018–19, prioritize grants for BATB in schools that have at least 60 percent of enrolled students approved for free or reduced-price meals (FRPM). The CDE annually awards $1,017,000 in School Breakfast Program (SBP) and Summer Food Service Program (SFSP) Start-up and Expansion Grants. School food authorities (SFA) can request up to $15,000 per school site (up to ten sites) for nonrecurring expenses incurred in starting up or expanding an SBP or SFSP. The CDE has $805,000 in unspent BATB grant funding that will roll over into SY 2018–19. The Department will be issuing an Request For Applications (RFA) in January, which will include the unallocated $805,000 balance for Breakfast After the Bell as well as the annual $1.017 million for School Breakfast Program and Summer Food Service Program (SFSP) Start-up and Expansion Grants. More information about this year’s School Breakfast Grants Awards is available on CDE’s website. 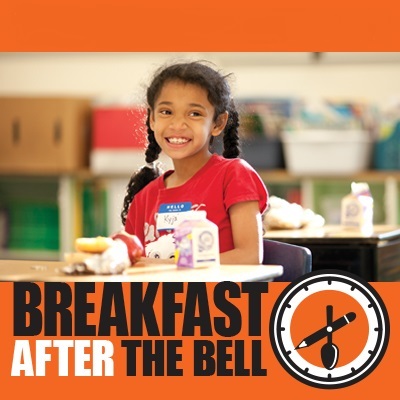 Access CFPA resources on the health and academic benefits of Breakfast After the Bell. Have questions or suggestions? Please contact Jared Call at jared@cfpa.net or 213.482.8200 ext 201.